North Sea oilfields connected to the Brent oil pipeline have stopped production due to a shutdown at Shetland’s Sullom Voe oil terminal to fix a “minor defect,” according to a Reuters report. “As a result of a shutdown at Sullom Voe Terminal, production has ceased from all Brent System and Ninian pipeline entrants, which includes all TAQA northern North Sea assets,” oil company TAQA, which operates the Brent pipeline, told Reuters. The terminal is expected to reopen on Sunday. The incident follows unplanned outages of the bigger Forties pipeline last winter. 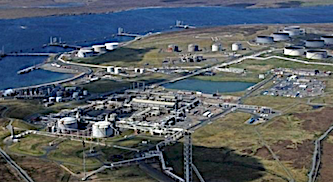 Sullom Voe terminal is operated by Enquest. “During a routine visual inspection of the process pipework within the Sullom Voe Terminal, a minor defect was identified requiring immediate remedial work, which is underway,” Enquest told Reuters. “With safety as our top priority, we carried out a controlled shutdown of the incoming Brent and Ninian pipeline systems. “There is no risk to people and no impact to the environment. Platts reported that EnQuest took over operatorship of Sullom Voe from BP in December 2017.